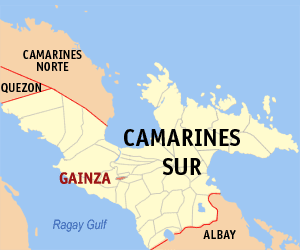 GAINZA, CAMARINES SUR—After being cited as one of the towns in the province with zero achievements in law enforcement last month, the Gainza Municipal Police Station scored a point when its elements apprehended a suspect allegedly involved in the distribution of drugs in the municipality. The suspect was identified as Andy Francisco y Sombrero, 34 years old, and from Zone 2, Sitio Pagdaicon, Barangay Mabolo, Naga City. Franciso temporarily lives in Barangay Malbong in this town, which was where he was captured. The police found in his possession several plastic sachets with a substance believed to be shabu, along with other drug paraphernalia. They likewise recovered a Honda RS 125 motorcycle, which is possibly a stolen vehicle, according to the PNP. The suspect is now under the custody of Gainza Municipal Police Station for further disposition. When informed of this accomplishment, town chief executive William Abilay commended the operatives, saying that he expects that this would put a stop to the proliferation of drugs in the area.